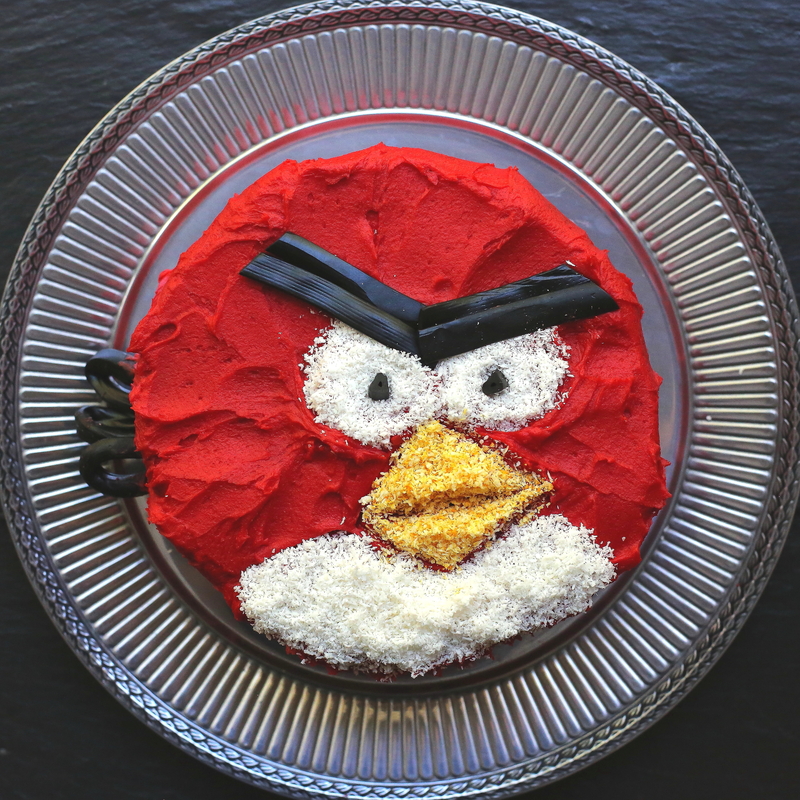 My little baby bird requested an Angry Bird cake for his fourth birthday. Who could say “No”? It’s a fairly simple cake which novice bakers and decorators could easily manage – just pound cake decorated with buttercream, coconut and liquorice; no complicated cutting or special equipment required. I was pleased with how the cake looked when I finished it, even though it didn’t quite live up to my original vision. Various pieces of equipment failed in the process of making this cake – the motor burnt out on the Sunbeam Mixmaster, a spatula broke and a quickly purchased replacement hand held beater failed to work! 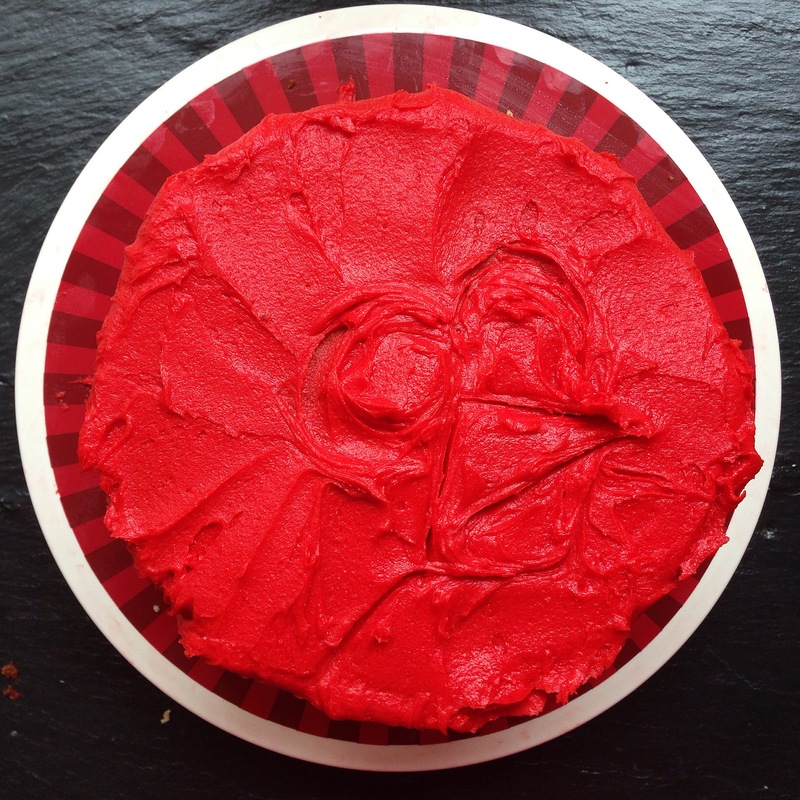 This cake won’t rock it on Pinterest but in the end I was just relieved to make a cake that was recognisable as Big Red! I used the pound cake recipe I always use, following this recipe from Saveur magazine , as the basis of the cake. A pound cake is not only delicious but is the perfect base for a novelty decorated birthday cake. An un-iced pound cake will keep moist and fresh in an air tight container for up to a week; yes, a whole week! This is invaluable as it means you can make the cake several days ahead of the party and decorate it on the day. This frees up time before a party for the important, but very tedious, task of cleaning the house. The cake has a fine crumb and so if you are cutting the cake out into a novelty shape it won’t fall apart (which isn’t important for this cake but certainly is for others I have made). 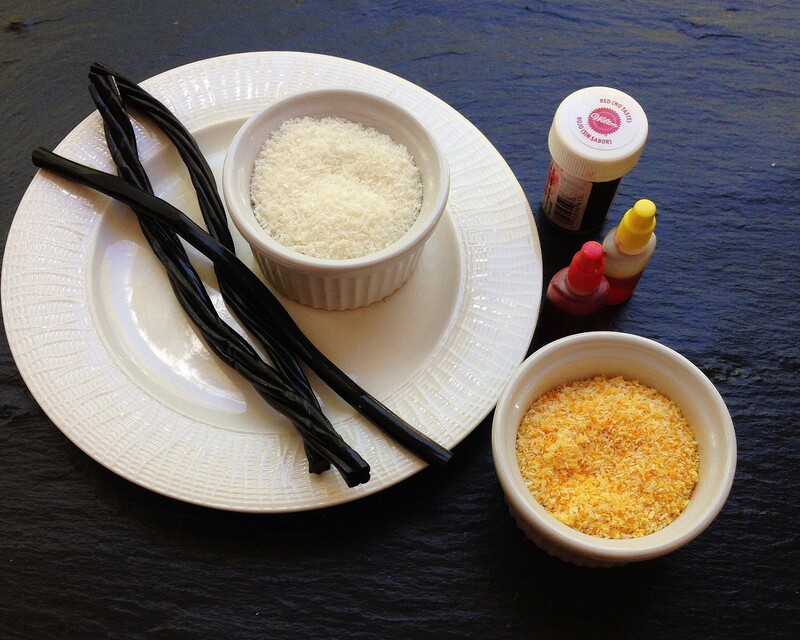 The recipe lists one teaspoon each of vanilla, almond and lemon extract among the ingredients. In all the years I have been making this cake I haven’t been able to find almond and lemon extract. I simply use three teaspoons of vanilla. This recipe makes one very large 10inch/25cm cake or three (modest and sensibly sized) 8 inch/20cm cakes. I used the full quantity for this cake and baked it in two cake pans. Feel free to reduce the recipe by 1/3 or even 2/3, depending on what you need. 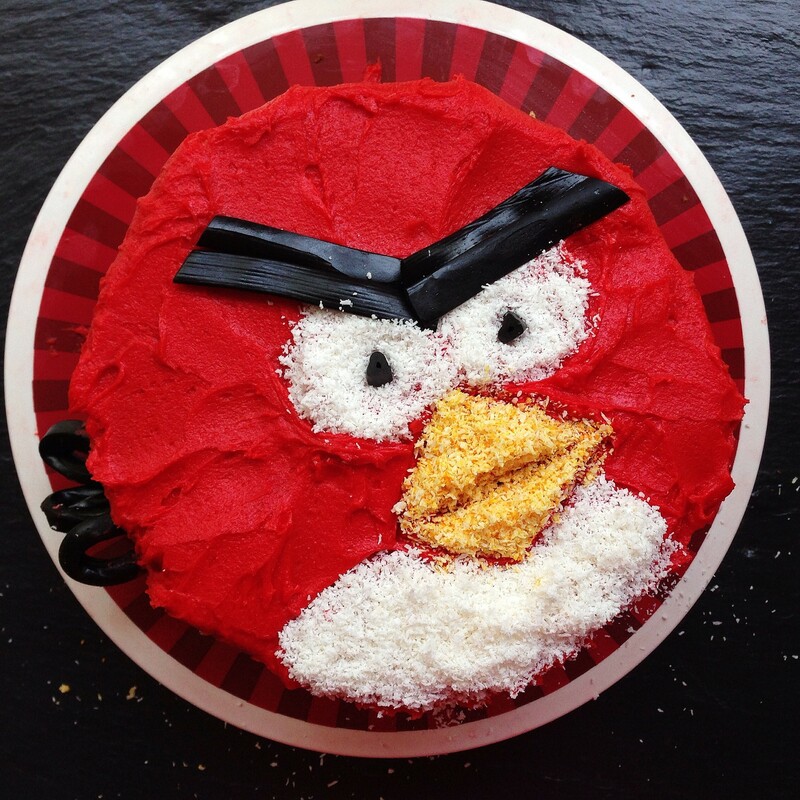 The recipe below is from The Australian Women’s Weekly Kids’ Party Cakes book. This quantity of buttercream was enough to fill and cover the cake. I used the Wilton colouring paste. This is the best product to use to achieve deep vibrant colours. Cream the butter until it is soft and fluffy. Add the sugar in batches. Add the food colouring (I used almost the whole bottle). Add just enough milk to achieve the desired consistency, which is soft but not sloppy. The box of liquorice I bought came in assorted shapes. I used two overlapping flat pieces, trimmed to size, for the eyebrows. The black tail feathers were made from 1.5 pieces of round medium width liquorice, trimmed and looped and kept in shape with a toothpick. Once the cake was iced I simply pushed it into the side between the two layers of cake. The pupils of the eye were two small pieces cut from a round piece of liquorice. There was plenty of liquorice left over which isn’t a problem for me as I like liquorice! 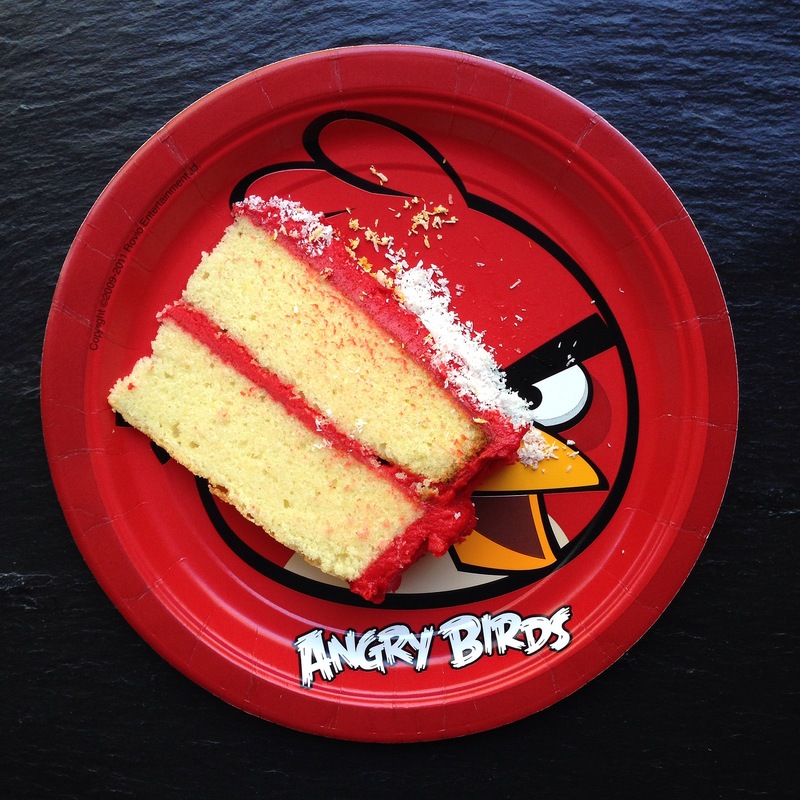 The beak was made of desiccated coconut coloured orange-yellow using Queen’s food colouring. Trim the top of the cake if necessary. If your cake has an obvious dome shape on the top then it is likely that the oven is too hot. Next time you bake, reduce the temperature by 20C or, better still, buy an oven thermometer. Place one cake on the plate. Smooth over some butter cream. Place the second cake, top side down. This will give the top of the cake a flat surface. Cover the entire cake with an even layer of butter cream. Score the design into the top of the cake with a butterknife. Add the plain and coloured coconut. Tidy up the coconut with a butter knife to achieve a nice even edge. Finish with the liquorice. 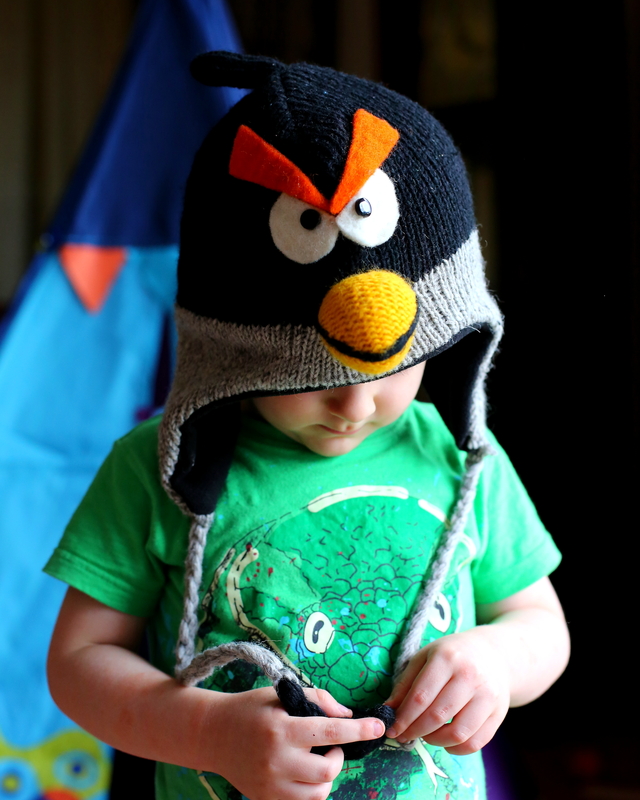 Posted in Cakes & MuffinsTagged Angry Birds, birthday, boy, gamer, geekBookmark the permalink. That is brilliant! A character cake that possibly even I could decorate. That is one seriously cute cake! That cake has the best texture! In spite of all the difficulties, it’s adorable!